Brands’ ability to directly message to customers and prospective customers continues to diminish and/or become more expensive due to audience attention fragmentation. Adoption of marketing technology to makes it financially and operationally viable to message in a hyper-targeted, 1-to-1 fashion, eschewing reach for relevance. Creation and propagation of helpful content (Youtility) that cloaks marketing in usefulness, making it easier to break through the messaging clutter. Using content created by influencers to reach new audiences and boost trust. The first two categories are already at a fever pitch, with more than 2,000 marketing tech companies and content marketing becoming a major initiative for most brands. But now the third category – Influencer Marketing – is accelerating in importance and investment. 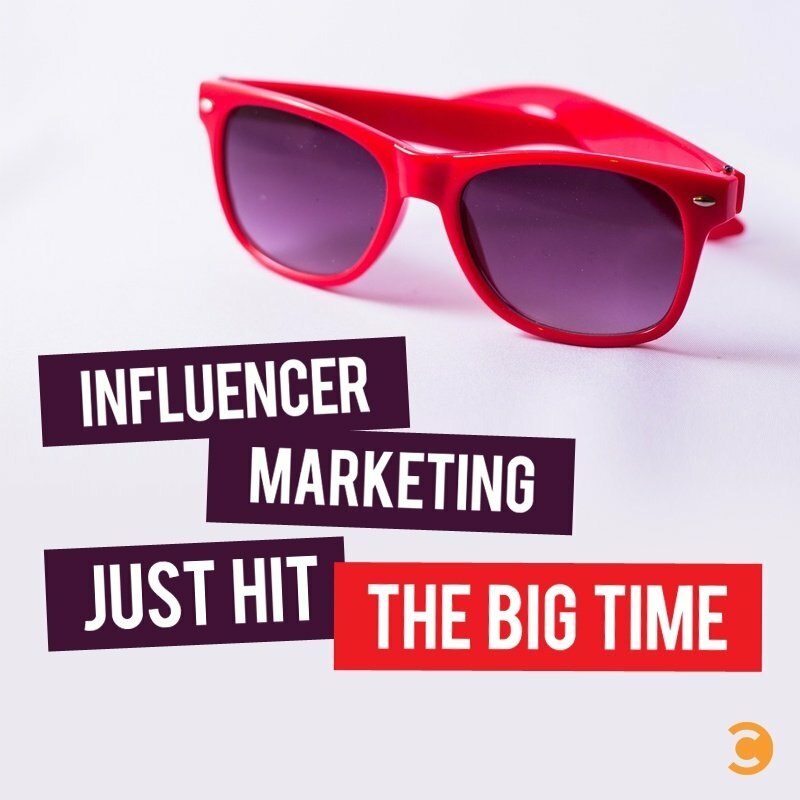 Companies like TapInfluence and GroupHigh (both sponsors of Convince & Convert) help brands locate and connect with influential bloggers and social media content creators. And post-modern talent agencies like Gary Vaynerchuk’s Grapestory and Nick Cicero’s Delmondo serve as middle-men and career stewards for Vine, Instagram, and Snapchat superstars. But what really signals the arrival of influencer marketing is that the platforms where this influence is accumulated and displayed are now trying to carve out a piece of the financial pie for themselves. It started with YouTube’s efforts to grow the following of YouTube stars (including national advertising via traditional outlets like spot TV). With pre-roll advertising becoming nearly ubiquitous on YouTube, the more popular YouTube influencers become, the more money YouTube/Google makes. Recently, new shots were fired as Twitter purchased Niche, a talent agency with more than 7,000 social media stars on its roster, most of them specializing in Vine. Let’s connect those dots, shall we? Twitter owns Vine. Vine has a ton of micro-celebrities with large followings that brands will pay to reach. Twitter is looking to boost revenue, since it has to answer to Wall Street on a quarterly basis. So, why not just cut out the middleman and create our own roster of Vine celebrities and get paid via finders fee. It’s brilliant, really. If brands want to hedge their bets on paid social and instead seek to use influencers to reach larger audiences without buying ads per se, Twitter will sell them that reach through Niche and get paid anyway. Facebook is taking a different approach (for now), but appears no less serious about the big future for influencer marketing. Instead of purchasing or developing an influencer agency (yet), they have recently been granted a patent for a method of identifying influencers at the granular content level. Rather than thinking about influence as measured by number of followers, the Facebook method looks at who helped accelerate any particular social object. For each photo, video, or status update who was the person (or persons) that initially made it go viral? Given their demonstrated understanding of the confluence of messaging, social network, and native advertising, I’d expect Snapchat to be the next platform to officially enter this space in some fashion. Regardless, these moves and others are clear signal that influencer marketing is BIG business, and here to stay.